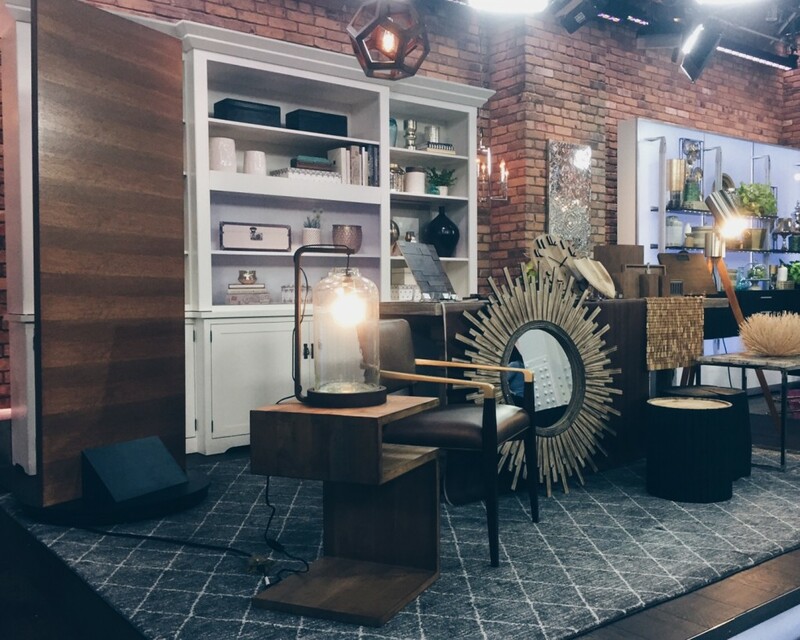 Interior finishings stole the show on a recent episode of The Marilyn Denis Show. 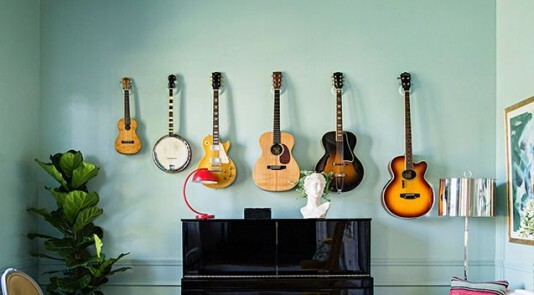 Celebrity designers Andrew Pike, Glen Peloso and Aly Velji each put their own unique spin on creating bold and dramatic spaces using interior doors and trim. Marilyn viewers were given an exclusive tour of Andrew Pike’s lavish home study and jaws dropped as Andrew opened the luxe wood double glass doors leading into the space. Andrew told viewers in keeping with the pedigree of his 1897 brownstone, he chose to recreate an old-world library by layering Hemlock trim elements. The focal point in the space is the grand antique fireplace, which is wrapped in a custom wood mantel. He explained to viewers that nothing says library more than full wood paneling on the walls, so the gorgeous rich wood from the fireplace was carried throughout the rest of the space. And an old-world library would not be complete without a statement ceiling—an elaborate coffered ceiling to add yet another layer of luxury to the space. But, Andrew’s study was not all he had in store for viewers! Andrew gave viewers tips on ‘wowing with wood’ in their own home. Andrew showcased a Metrie Very Square rift-cut White Oak solid door. “It’s a fairly easy fix to swap out your doors and get a new look,” Andrew explained to Marilyn. To watch Andrew’s full segment, click here. 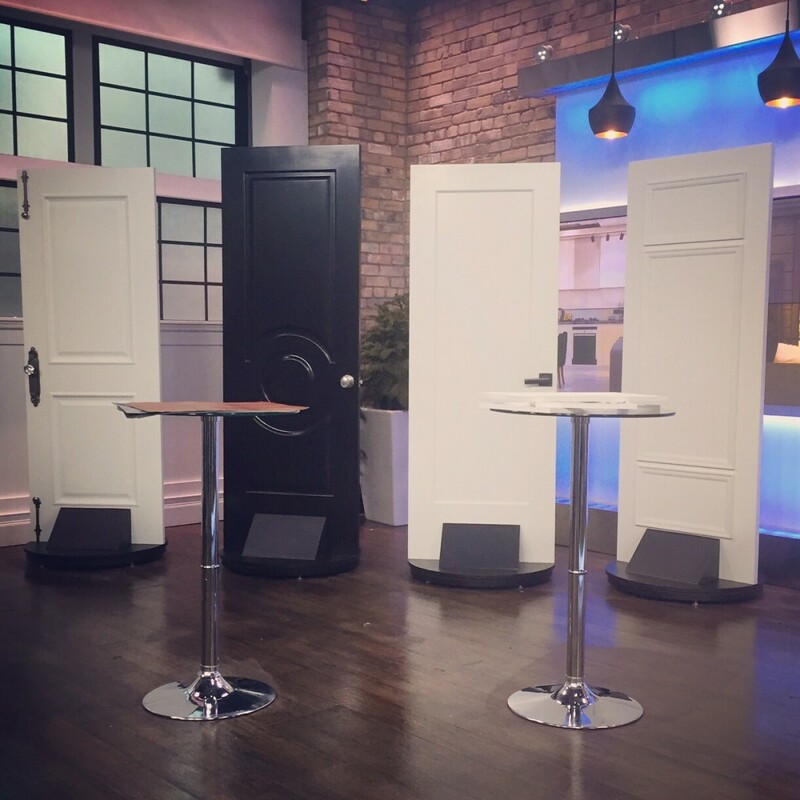 It was then Glen Peloso’s turn to share his tips for enhancing interior doors from ordinary to extraordinary! The first design conundrum Glen addressed was what to do when you have a beautiful door, but it’s outfitted with drab hardware. “By changing the hardware you can really change how the door looks,” Glen told Marilyn. 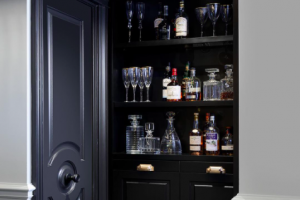 The designer then swapped standard brass hardware for updated gunmetal details and it gave the Masonite Capri door (brought to you by Metrie) an updated look. Door number two was a Metrie Fashion Forward solid door. Glen explained to Marilyn just because you move into a space with cream or white doors doesn’t mean you have to leave them like that! He encouraged views to take risks with painting doors and suggests a glossy black finish for a high impact. Glen also suggested increasing the height of your interior doors, which would add a touch of elegance to any space. Moving on to a Metrie True Craft solid door, Glen suggested adding texture to the door by taking patterned wallpaper and adhering it into the profile of the door. Lastly, Glen suggested overhauling a plain white slab door with a simple “DI-WOW” that has a huge impact! Glen used Pretty Simple moulding and created frames on the door. 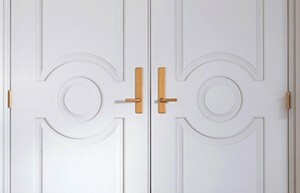 To learn more about transforming your doors to create that WOW factor, click here. 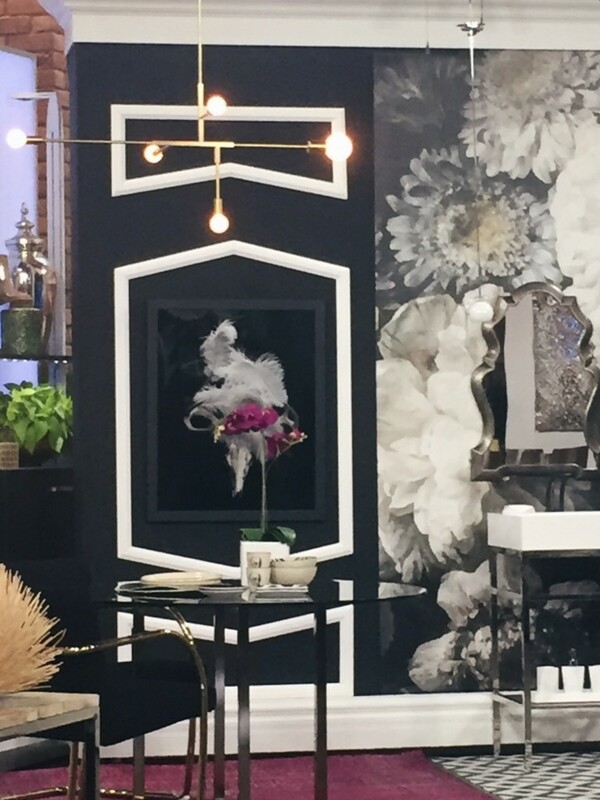 Last but certainly not least, Aly Velji hit the stage with his ideas for creating drama in your space using interior finishings! 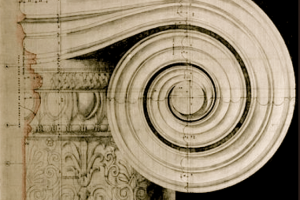 To make a statement with mouldings you have to think outside the traditional box. Aly explained to Marilyn when applying moulding to your walls, rather than installing mouldings in a square pattern, try turning them around in a beautiful geometric pattern. Placing the moulding in a graphic pattern and accentuating with paint will create a dramatic modern look that can elevate any space. To watch Aly’s full segment, click here.